Synopsis: A psychologist begins working with a young boy who has suffered a near-fatal fall and finds himself drawn into a mystery that tests the boundaries of fantasy and reality. Thoughts: French director Alexandre Aja is known for his more, ahem, extreme work (High Tension, Mirrors, Piranha 3D, Horns), so I was more than a little surprised his name was attached to this big-screen adaptation of Liz Jensen’s 2005 novel. 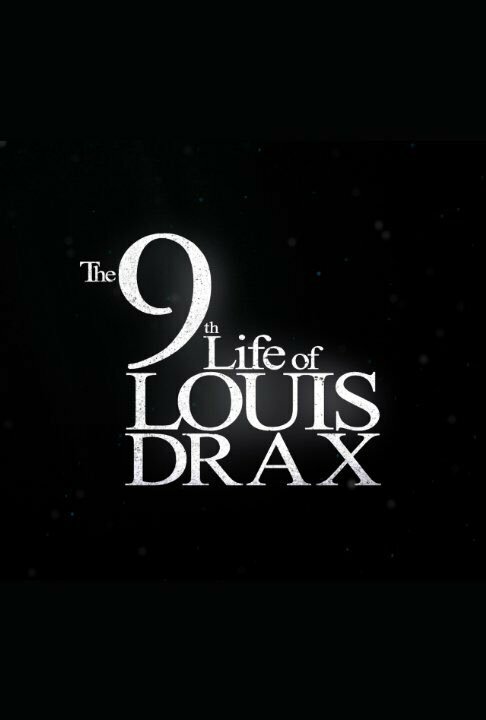 I mean, there doesn’t seem to be any opportunity for characters to be dispatched of in a most grisly fashion but perhaps The 9th Life of Louis Drax is an attempt to show Aja’s softer side. Focused on a comatose boy and the secret as to why he’s in his current state, this September release might be a nice return for the carefully constructed mystery genre that’s been dormant for far too long in my book. 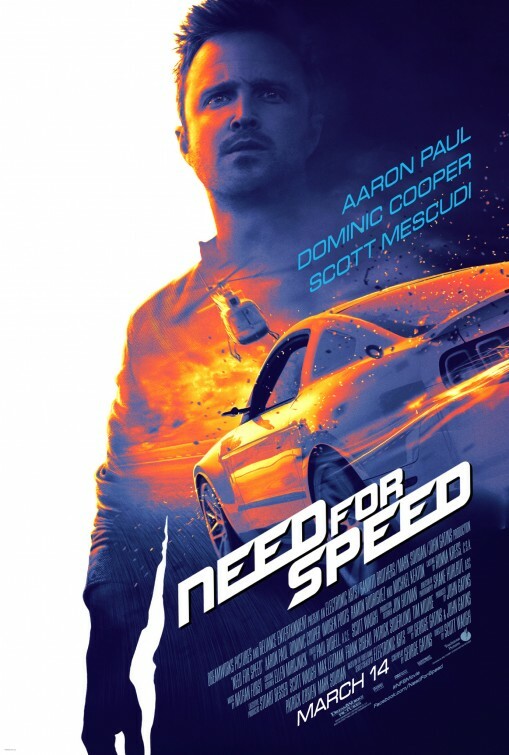 Starring Jamie Dornan (Fifty Shades of Grey), Sarah Gadon (Dracula Untold), Aaron Paul (Need for Speed), Barbara Hershey (Insidious: Chapter 2), and Oliver Platt (Flatliners), if Aja can withhold the bloodletting and let the story take center stage he may just have a winner on his hands. Review: The woman sitting in front of me at the screening for Eye in the Sky was having a devil of a time sitting still. Normally, I’d look upon such fidgety fumbling with eye-rolling exhaustion but in this case I’m giving her a pass…because I was having the same problem. Don’t mistake my squirming as a sign of boredom, though, because this is a nicely riveting bit of entertainment, a good option for discerning adults that don’t need their political dramas balanced with comedy (Whiskey Tango Foxtrot, also worth a watch) or excessive violence (London Has Fallen, which isn’t worth anything). The script from Guy Hibbert brings together several stakeholders in the current war on terror during a mission centered in Kenya. Using cutting-edge, advanced technology, several high-priority targets have been identified holed up in a compound in the African republic, generating a firestorm of controversy as members of the military and government clash over important moral questions about acceptable collateral damage and how to come out unscathed in the public eye while still accomplishing their mission. It all sounds denser than it actually is but understand that I’m only giving you a very general plot overview. To say more would give away some of the key turns the film makes and would rob the film of its genuine suspense. 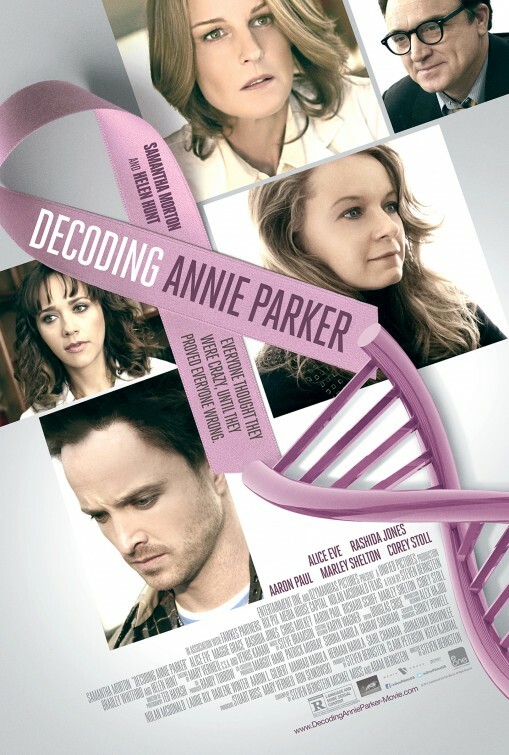 Plot details aside, I can tell you the film works so well thanks to nigh-perfect casting. Helen Mirren (Trumbo) is a Colonel in the British military energized by finally locating a British ex-pat turned radical terrorist she’s been tracking for some time. 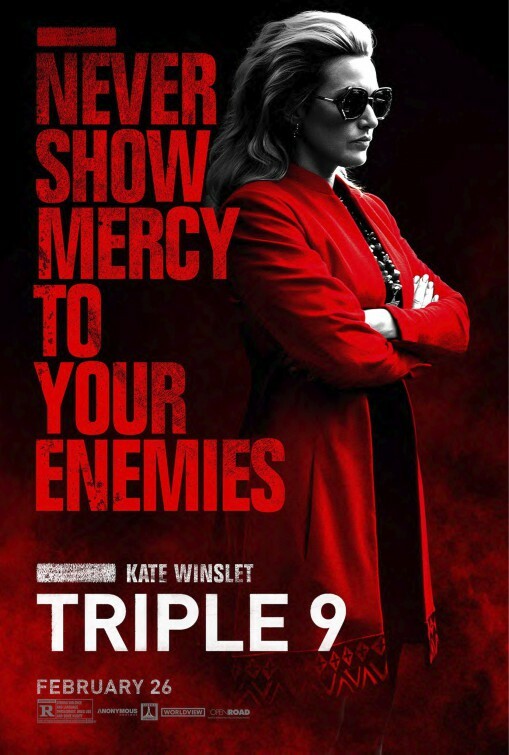 Leading an international team sent in to capture the terrorist and her compatriots, Powell soon sees her mission changed that raises some strong moral questions her lesser ranking colleagues seem more willing to ask than she is. Operating out of a one-room central command, Mirren carries the bulk of the film on her shoulders and is more than up for the task…though I had to chuckle seeing her tromping around in combat boots, army fatigues, and a snappy beret. 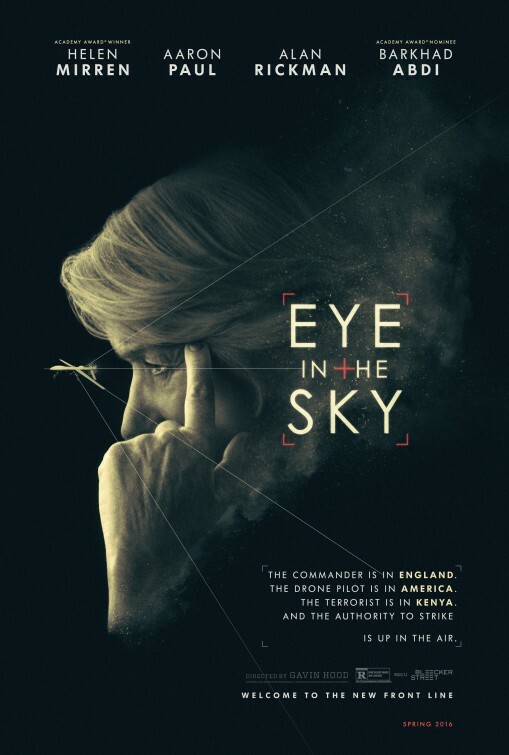 Interacting with Mirren are two drone pilots in Nevada (Aaron Paul, Need for Speed and Phoebe Fox), a British Lieutenant acting as a political liaison (the late, great Alan Rickman, Lee Daniels’ The Butler, in a mighty fine performance), and an operative on the ground in Kenya (Barkhad Abdi, Captain Phillips). The elvish Paul wears his heart a bit too on his sleeve as the pilot unwilling to pull the trigger on dropping a bomb until he knows for sure what the overall damage will be. While the performance tends to be a bit on the teary side, Paul’s a fine enough actor to sell it and he’s aided nicely by Fox. Rickman does a lot of the heavy lifting in the political arena, turning what could be strenuous speechifying into compelling arguments. For a film that’s highly politicized, it never seems to take a side which turns out to be a benefit as the film progresses toward an ending that’s inevitable but honest. Director Gavin Hood (who appears in the film as Paul’s commanding officer) keeps the film taut right up until its conclusion, never cheating the audience with a tidy wrap-up. Which brings me back to the aforementioned woman wringing her hands and covering her eyes during several key high-tension scenes that pepper the final half of the movie. I was right with her on the edge of my seat, pained at the perceived delays in action and stressing out over the indecisions of the decision makers…and you will be too. Thoughts: After March’s Noah and the modest success of films like God’s Not Dead and Heaven Is For Real I’m thinking we’ll look back on 2014 as the year that studios got Biblical. Coming in right under the wire this December will be Ridley Scott’s (Prometheus) take on the story of Moses as told in the book of Exodus. With Christian Bale (Out of the Furnace) as the Red Sea parter himself and Joel Edgerton (The Odd Life of Timothy Green) as Pharaoh Ramses (his brother from another mother) joining Scott’s favorite alien hunter Sigourney Weaver (Working Girl), Ben Kingsley (Iron Man 3), and Aaron Paul (Need for Speed) for some Egyptian action this looks more in line with the epics from the 50s and 60s. 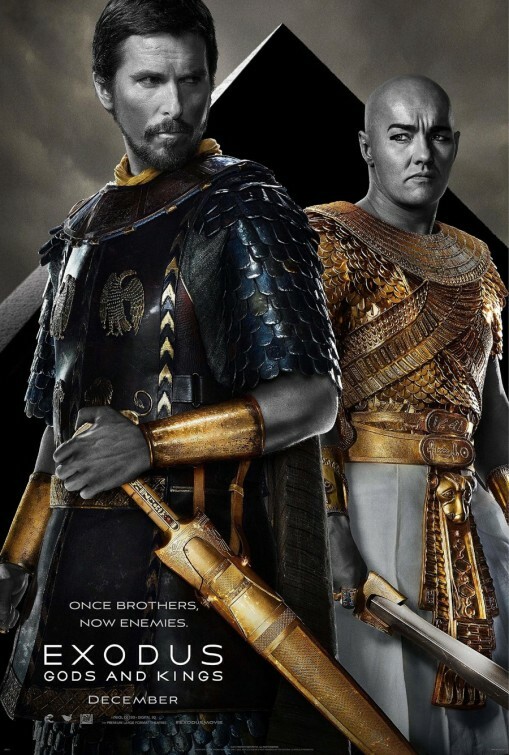 Scott is certainly a competent filmmaker so hopes are high Exodus: Gods and Kings won’t make as quick a box office exit as Noah did earlier this year.